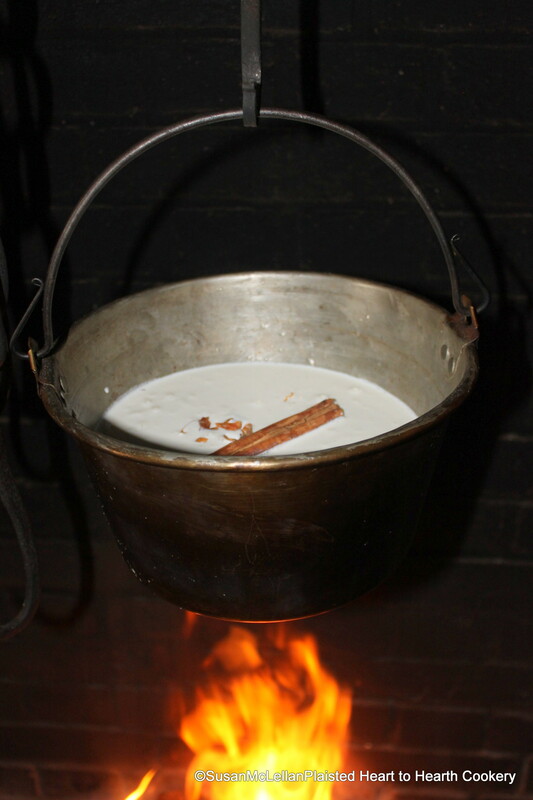 Take a pottle of Cream, and boil in it a little whole Cinnamon, and three or four flakes of Mace. This is the first line of the receipt (recipe) of My Lord of Carlisle’s Sack Posset. A pottle is an old English liquid measure equal to two quarts. I started with a half-gallon of cream and you can see the stick of Ceylon cinnamon and few blades of mace added.